Affiliate program for CoconutGreetings.com. Start earning today! We encourage you to join our affiliate program, currently offering commissions on orders received with mention of your Affiliate ID. You do not need a web site to be an affiliate. If you do have a web site, it is easy to link to our site. We'll send instructions once you're approved. Commission checks are generated once your commission totals $150.00 or more. Commissions are paid on the base price of products in custom orders. See Base Prices and Designs samples here. 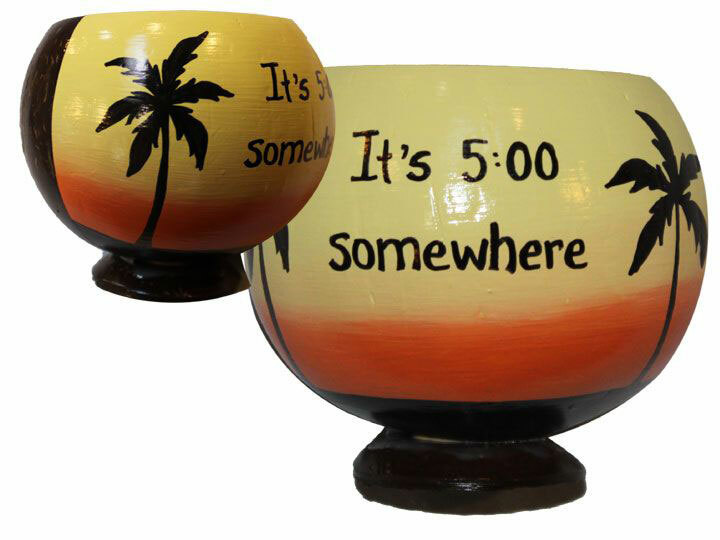 We do not offer commissions on whole size coconuts at this time or on our wholesale priced items which are already discounted. Additional charges that may be incurred on orders and are not included in the commission calculations are: shipping costs, package drop ship charges, package assembly charges, design detail charges for logos or additional characters of text over the alotted 50 characters. Commissions are on the base prices only. See base prices here. We encourage all interested companies and individuals to apply. Current affiliates include wedding and event planners, travel agents, hotel chain management, resort managers, DMC operators and managers, etc. We will need to approve your site, if you will be using one for sales. Mainly we look for sites that are aesthetically pleasing and do not display content that may be deemed pornographic or offensive. If you do not plan to use a web site to drive sales this does not apply. These are only general guidelines, and we reserve the right to make exceptions. Please note that if you fail to meet the terms of our agreement we may remove you at any time. Thank you for using Coconut Greetings and have a fantastic day! Make Easy Money because everyone loves a coconut.